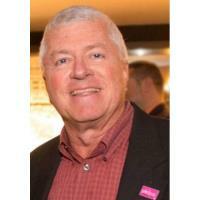 David Ream, a co-founder of Plexus, passed away unexpectedly in December. A tireless advocate for the LGBTQ community and the arts, Dave was a fixture at Plexus events over the years. He was an LGBT certified business owner in the publishing industry, and was a dedicated community and civic leader. Many members have asked about making a memorial donation to honor Dave's legacy. We invite you to donate to the David K. Ream Memorial Fund of the Plexus Education Foundation that will support continuing education, business certification outreach and other initiatives—the efforts that Dave saw as critical work for the chamber at its founding and the ones he supported over the last decade through his involvement in Plexus. Click here to make an online donation to support the David K. Ream Memorial Fund of the Plexus Education Foundation via Paypal. Or send a check to: Plexus Education Foundation, David K. Ream Memorial Fund, PO Box 91697, Cleveland, OH 44101. The Plexus Education Foundation is a 501(c)3 organization (EIN #32-0269719). Contributions to the David K. Ream Memorial Fund of the Plexus Education Foundation are tax deductible to the extent allowed by law.